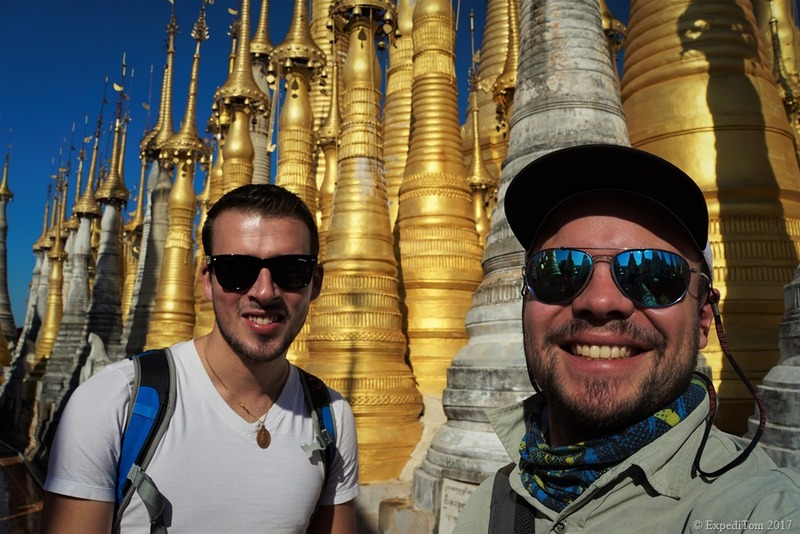 A few days ago my mate Marc and I flew to Bangkok Thailand. There we first arranged our visa and travel for Myanmar. The flight from Bangkok to Yangon was quick but pretty delayed though. Nevertheless, I was more than happy to be with all my luggage in Myanmar. After two night in the rather dirty city Yangon, drove by night bus to Inle Lake. 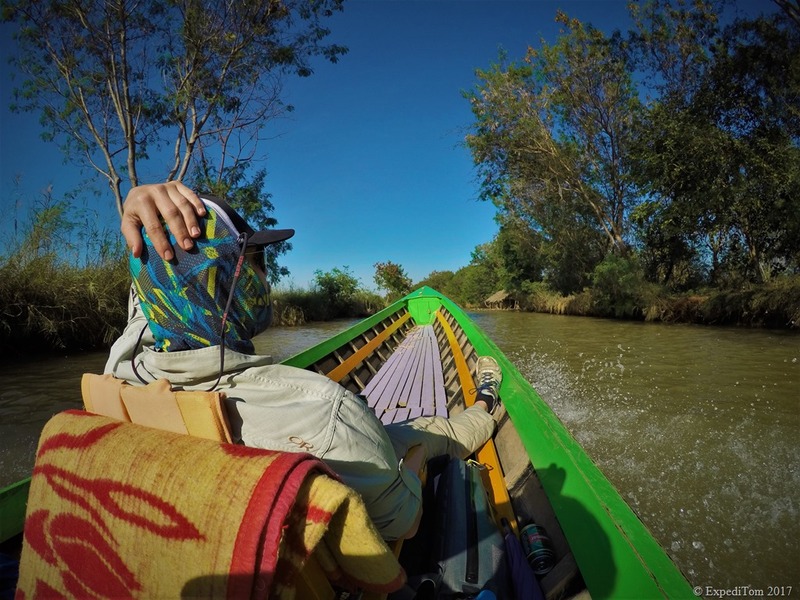 To be precise we drove to Nyaung Shwe – the backpacker town with direct access to the lake by canal. Nyaung Shwe is a pretty city with much less waste and a beautiful surrounding of mountains. Early in the morning, we went to the jetty, where the long tail boats awaited tourists to take for a ride. 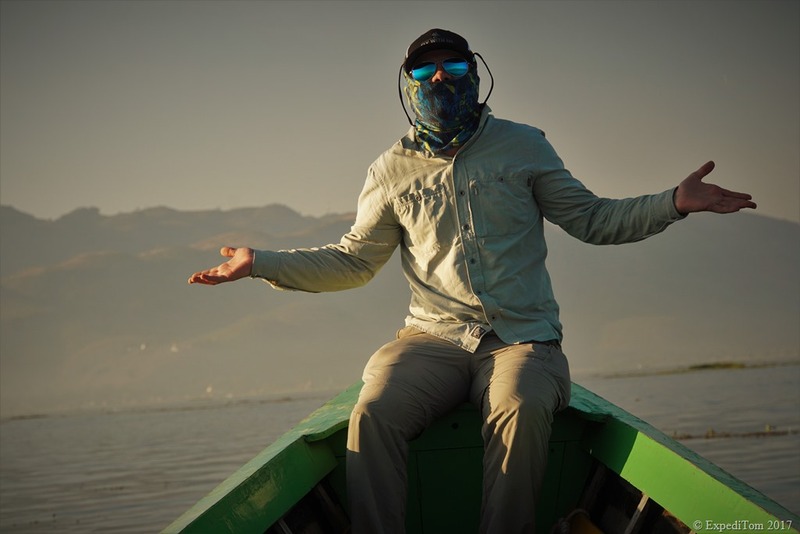 We told a local agent that we wanted an English speaking driver who brought us at some spots for fly fishing as well as to some sights. Few minutes later we sat already in the boat driving on the misty lake. The atmosphere was mystical. 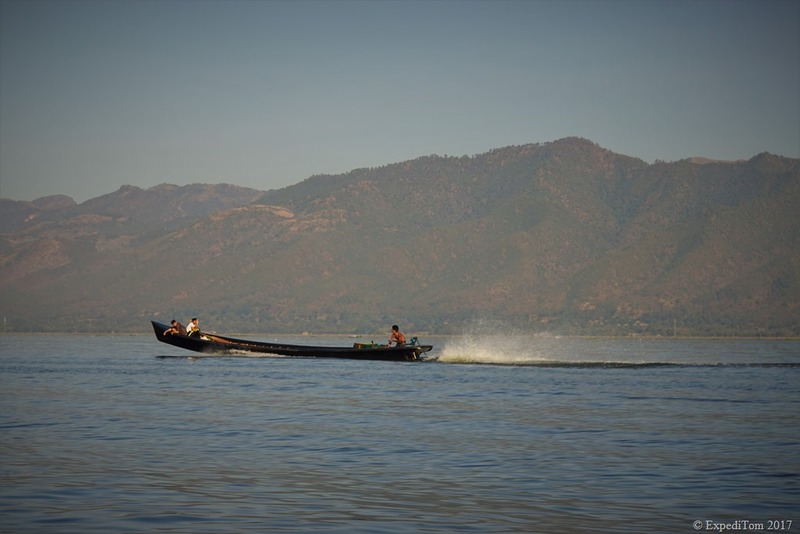 The people in the Shan state of Myanmar depend highly on the food source of the lake. The lake offers 2 cyprinids (Sawbwa and Inlecypris) as well as swamp eel. The latter and a barb are mong some endemic species. 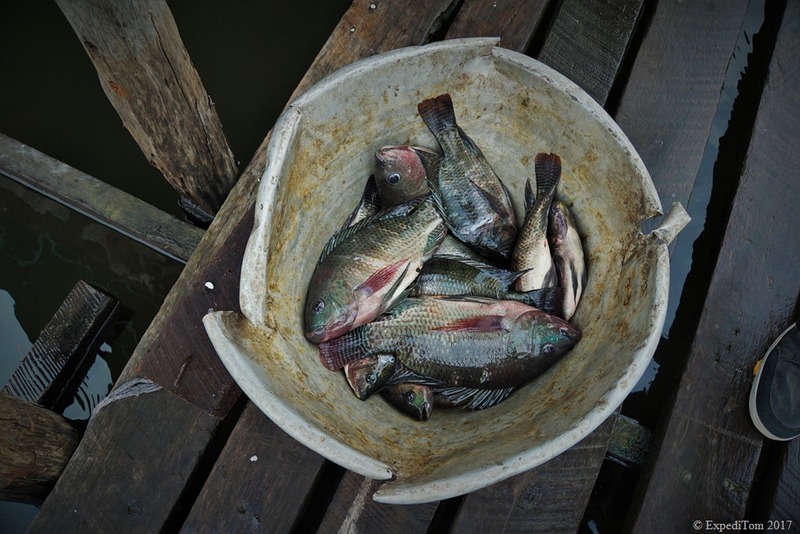 Many people are fisherman and they have their own distinctive fishing style. 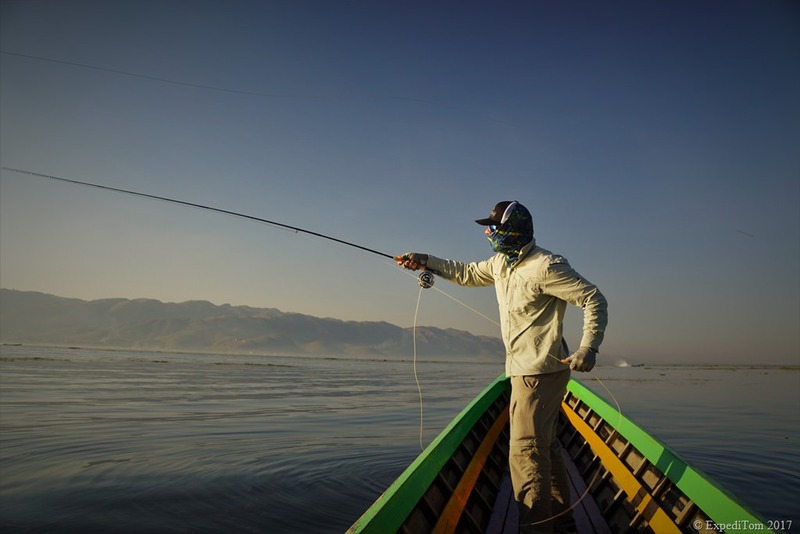 Not with a rod, leave alone a fly rod, they balance on one leg at the tip of their boat while holding with the other one the row. Sounds difficult and it is. 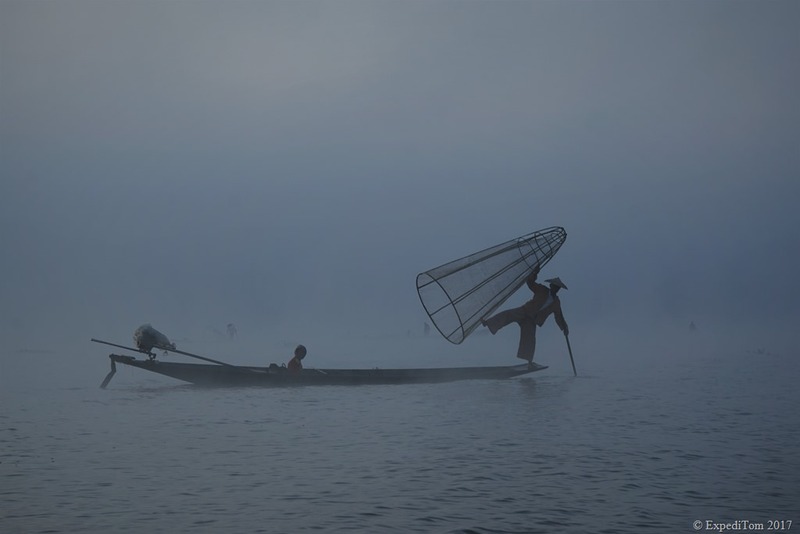 In one hand they hold a net, which they support with their rowing leg. It is common among the boat drivers to bring their customers to some shops where they get commission. 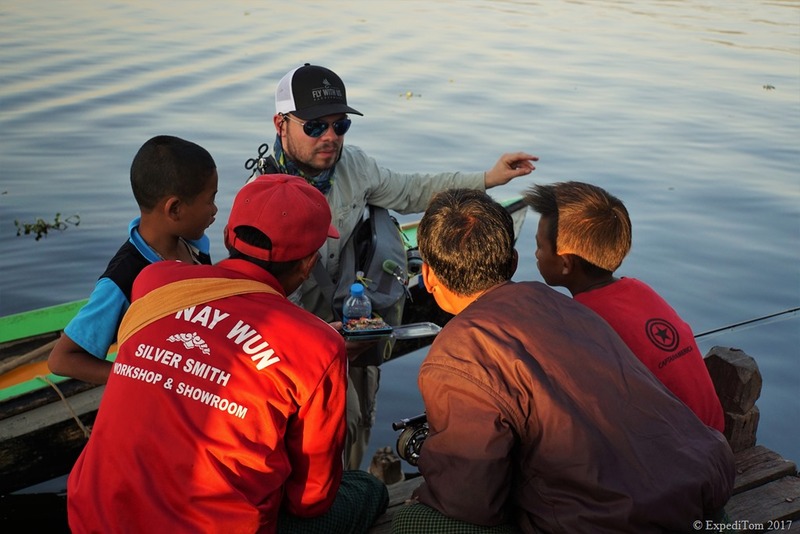 However, as awkward as it sounds, the merchants are not very pushy and most of the tours through some handicraft making on the lake such as the silver smith and silk weaving was pretty interesting. Another spot worth mentioning but as far as I am concerned only included in the full day trip is the Inthein Pagoda which sees subsequently less tourists. Before sunset we drove to the main basin of the lake where several fisherman are working. Here the water is pretty clear and one can see easily the sea weed in the shallow lake. I mounted the rod and tried first with some streamers. Then I switched to the nymph. Yet, both rigs were unsuccessful. The boat driver recommended to go to a fishing house on the lake. The fisherman and his kids soon gathered around me and exchanged information about fishing. The fish seemed to be viciously eating on shrimps and neglecting almost every other food source. I spotted some tiny fish and nonetheless tried with a ugly small red nymph. Indeed, as soon as the nymph moved upwards, the fish attacked. 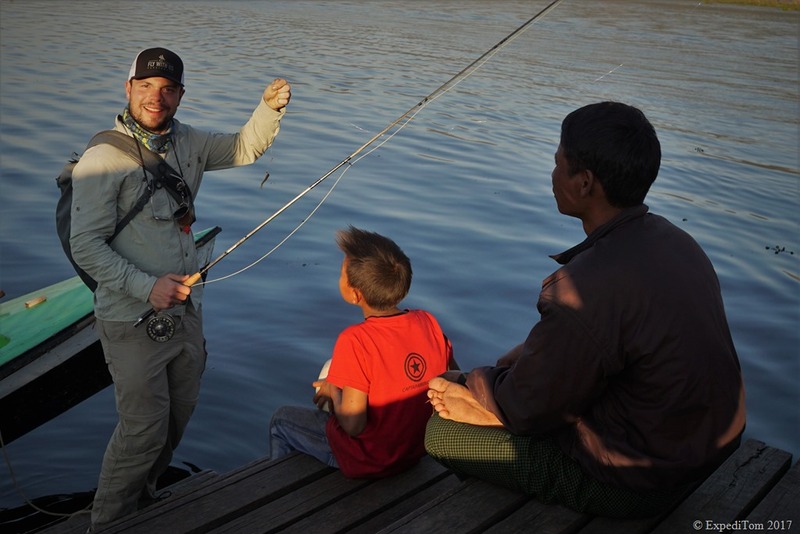 Although the fish was minute, I was happy to have caught my very first fish on a fly in Myanmar. After this rather decent catch, the fisherman kindly gave me one of his larger fish to eat as a present. The people of Myanmar are very generous. Admittingly, if I had invested more time, I would have probably been more successful. 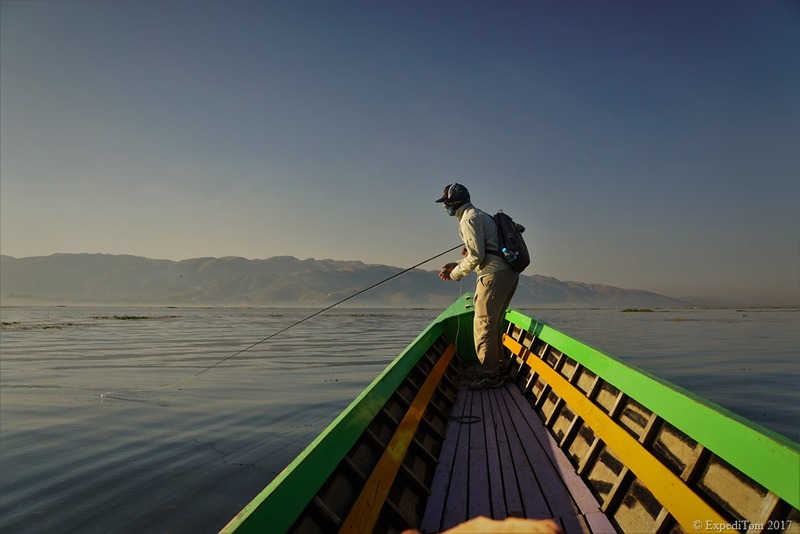 Yet, this trip was not only for fishing purpose and the place we had visited before fly fishing at Inle Lake were stunning. As advice I highly recommend you to take some shrimp pattern with you, unless you are keen on bait fishing. Be prepared for the loud boat motors and take some ear plugs with you. 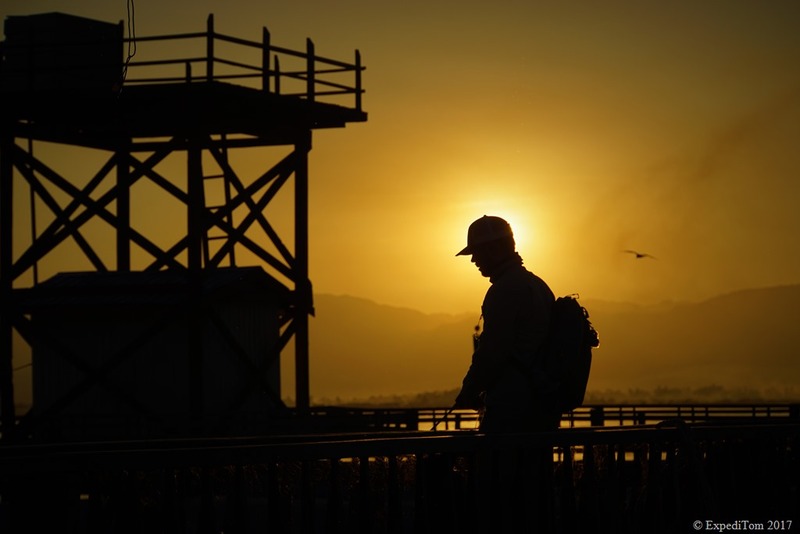 Moreover, sunscreen and warm clothing are a must if you are out the entire day.